Styled with fern tank and daisy jacket . It's what we do. 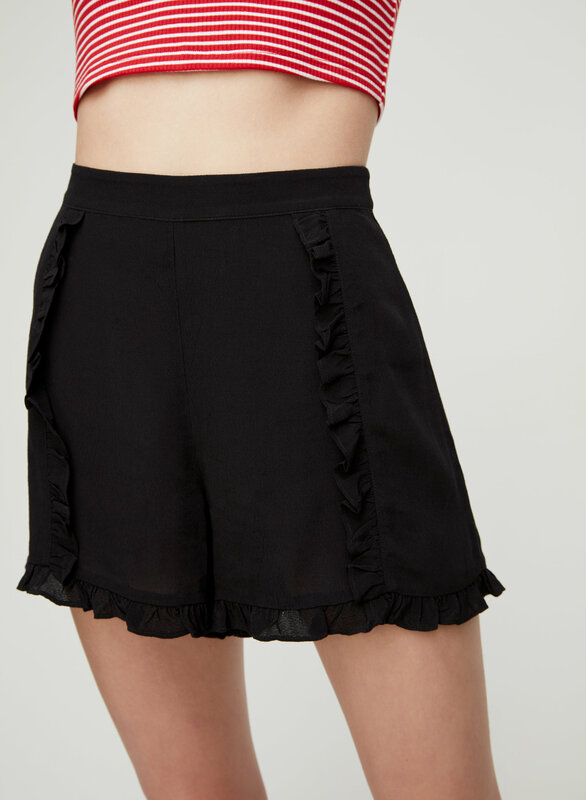 This is a mid-rise short with ruffle detailing on the leg and hem. 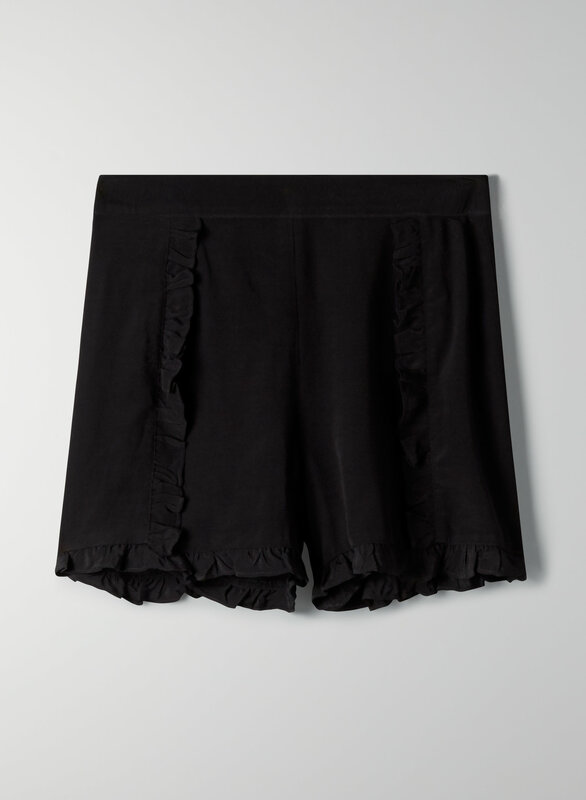 It's made with a drapey, crepe-like fabric.